A UNITING Church building circa 1900 in Quarry Hill, Bendigo, has a new lease on life. What is now known as The Old Church on the Hill, once held hundreds of church services, weddings and funerals. The building now sees people from every corner of the community unite to enjoy life in partnership. Five years ago, a group of community-minded people gathered their resources and were able to gain long term use of the old church buildings for the community. The church grounds consist of the original church building built on November 5, 1900, the Sunday school hall opposite and the newer church hall behind older buildings. “Once it looked like the property was about to sell the whole community started getting involved,” Mrs Vincent said. “A university student made a video requesting the property not be sold to developers.” The buildings were then bought off the Uniting church by Component Industries, a philanthropic group in Melbourne, after the church was closed down. “I used to work for this company, they are very generous and they want us to use it for as long as there is a need,” Mrs Vincent said. The building is used for community activities designed to bring people together. The centre hosts playgroup, french language class, live music, martial arts class, yoga, break-dancing class, art therapy, a positive birthing group, a pop-up op-shop. The community garden has developed into a meeting place for families needing some guidance on gardening or some university students without enough money for vegetables. 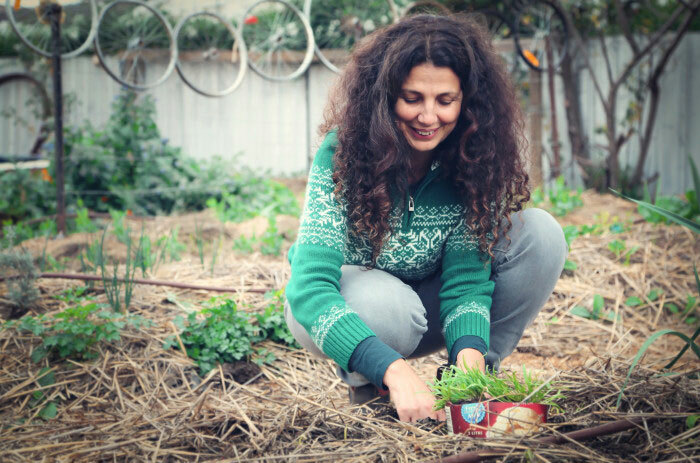 “A lot of people have their own gardens at home, so when they come to the community garden they are there for the sake of community,” she said. “It's been a great way to provide fresh food to people who need it. Young families are involved who want their children to learn about gardening.” Mrs Vincent said it was a good place to meet new people.